My name is Neeraj Gautam. My wife is patient of TB Disease from last three months. We had already given treatment for this disease in CMC Hospital Ludhiana. but Now again from last 1 week her condition is more serious so that we have to admit her in CMC hospital Ludhiana again. Doctor of CMC Hospital estimated approx. 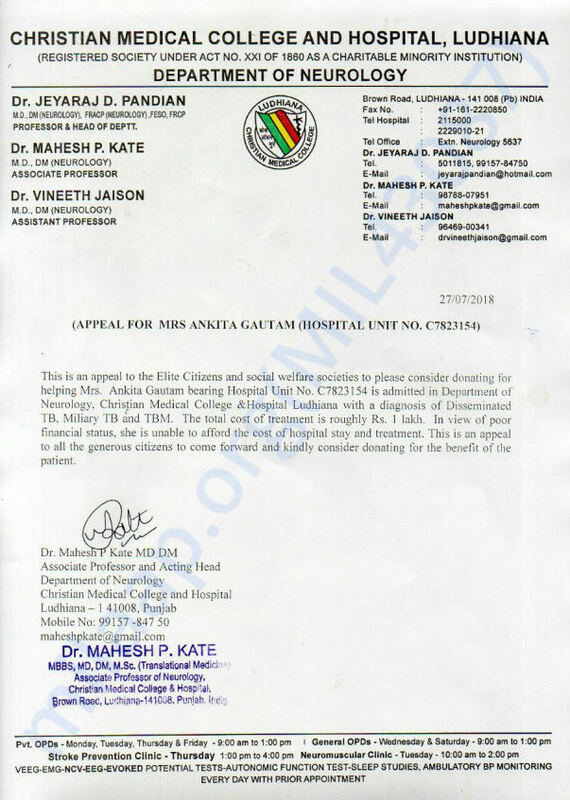 1 lakh for treatment. but how I can arrange this big amount. I am a computer operator in a private company with my salary amount, it's not possible to collect 1 lakh and not possible for the treatment of my wife. I have 1 daughter but she was Premature Birth. she is now 3 year but due to Premature Birth, She is abnormal. She can't even sit and cant put one step. Her treatment is also running from a private doctor. My family is very poor family, my father is a waiter. Due to my job, I have to stay in Ludhiana which is approx 180 KM far from my home. So you can request to Kindly help me. God bless you. You can also do a bank transfer to the below-mentioned account setup for this fundraising campaign. 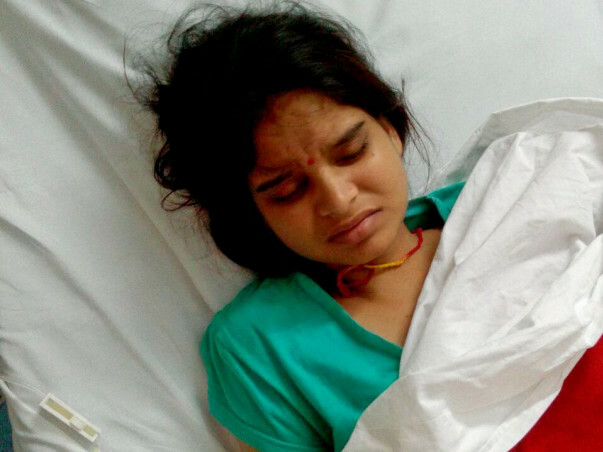 Thank you for the support you have shown towards Ankita. Currently, her condition is better and has shown improvement in her health condition. All the funds raised through this campaign has been withdrawn for her treatment. Patient has been discharged from hospital but treatment will continue for a year. more funds will be needed for medcines and doctor fees.